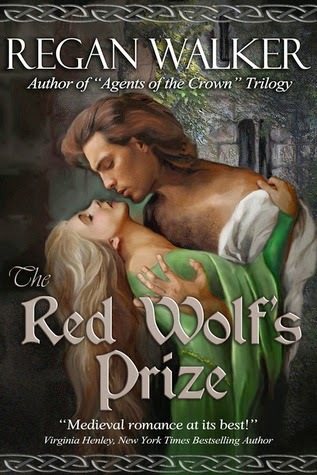 The Red Wolf's Prize by Regan Walker. This is book 1 in the Medieval Warriors series. Having lost her father during the fighting with King William, Lady Serena of Talisandvcan't believe that the king has given her to one of his knights. Knowing that her "husband" will soon arrive, she dyes her hair, dresses as a servant and leaves with several of her people to join up with her brother. Sir Renaud de Pierrepont can't believe that his intended bride has run off instead of stay and wed him. While searching for his intended, his men find several servants heading north. Returning with them is a servant girl that immediately attracts Renaud. He tries to woo the servant, who is actually his intended, with no success. Finally resigned to her fate, Serena reveals to her husband whom she is and they quickly marry. But what happens when Serena finds herself falling for the enemy? This was the first book that I have read by Regan Walker and I really enjoyed it. She did a great job with telling the history of the time without overwhelming the reader with all the facts and overshadowing the romance of the story. Having not read many story of this time period, I was happy to read the write-up at the end of the novel explaining a little more about the time period. Walker did an excellent job of writing the conflict going on with Serena and her conscience. Serena wanted to hate her new husband because of what he was, but when she saw how he cared for her people she had to see the person he was and not what he was. There was enough conflict between them to make it believable that Serena could have eventually falling in love with her enemy. I loved all the secondary characters that Walker included and am happy to hear that some of them will be getting their own stories. Walker is definitely an author that I will be putting on my TBR pile! Thanks go out to CreateSpace for a copy of the book in exchange of an honest review. Thanks, Amy, for the review! I'm so glad you liked my story. You are welcome! I really enjoyed the story and will definitely be checking out more of your work! I will have to check those out. Thanks for the recommendation, Janice! Oh, very kind of you to say, Janice. 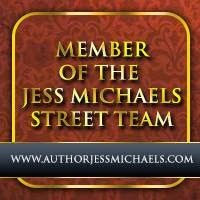 With all the romance novels for readers to choose from, your comments warm my heart. Thanks so much for posting the comment!